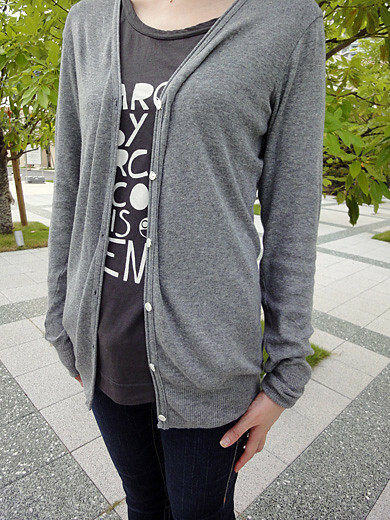 I got a simple gray color cardigan from Tsumori Chisato. 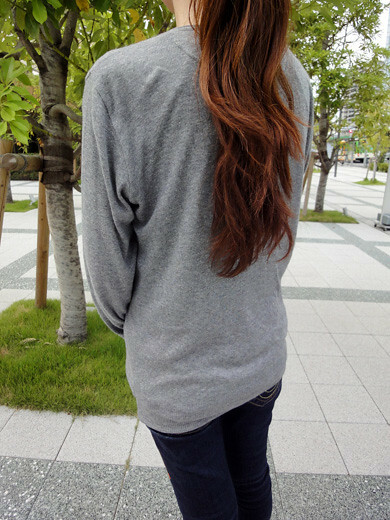 It is not 100% cotton, but its texture is very soft and thin. 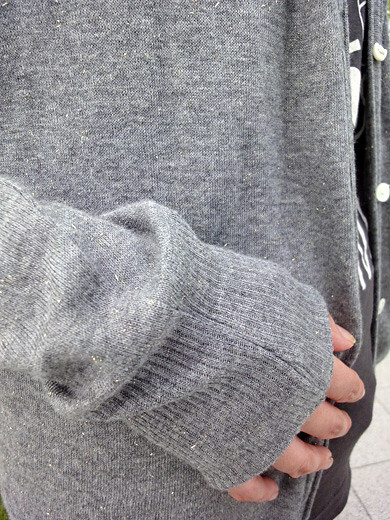 And, it is very difficult to see the gold treads weaved in the texture, but I love that. 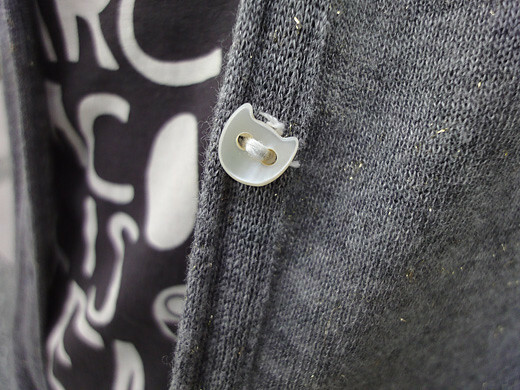 Also, it was sewed a cat’s face-shaped button on the cardigan.